“If you invite me to embrace challenging ideas and engage in developing my own original work, I’ll rise to the occasion,” one of my students said, reflecting on his experience in my class. He showed me that embracing original student constructed projects can truly offer an opportunity for learning that is both engaging and challenging for the learner. His sentiment also reflected the importance of invitation. He told me that because I offered the opportunity to compose an original project that he was able to achieve more than he thought possible. He gladly accepted the invitation because it was original and he trusted that he would grow in the process. 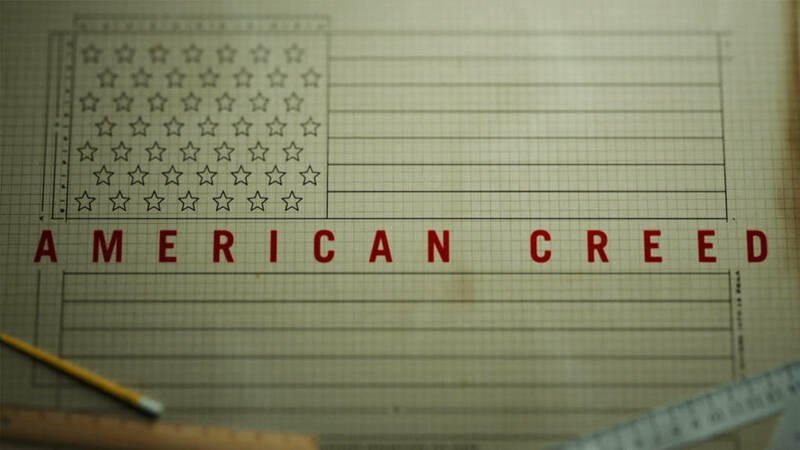 American Creed, a 2018 PBS documentary, is designed to encourage civic conversation through invitation. Several Americans of various backgrounds share their American values through their stories. From immigration stories to values they hold dear as United States citizens, to tackling discourse meant to encourage more conversation with people from various backgrounds, this documentary offers encouragement for civic conversation to reflect back on where we have been as a country and where we are going. Specifically, Pulitzer Prize-winning historian David M. Kennedy and former Secretary of State Condoleezza Rice establish an open forum discussion at Stanford University to explore the meaning of an American creed or identification of what being an American truly means. This is explored starting with dialogue at the university and is extended with stories from coast to coast of reflective Americans sharing their commitments to our country. Stories of families starting their lives in the United States to the acknowledgment of values that bring people of diverse backgrounds together are at the heart of this film. Citizens of the United States are invited to reflect on their experiences and beliefs to define their own American creed. Further, citizens are invited to think about their pasts and futures, as well as how to foster civil conversation with others of varying perspectives.. The ability to engage in civic conversation is an important learning opportunity. Wrestling with the complexities of civic discourse is one that my high school students easily understand. Together, we explored big concepts of defining American culture, beliefs, values and creeds. We read numerous texts, from recent news articles to short stories and poems, in order to inform our thinking on these topics. Following this careful critical reading and discussing, students were positioned to compose an argument explaining what is important in describing American culture, values, beliefs and/or creeds. These pieces were published on Youth Voices, a collaborative learning space for youth conversation. Through this work, students entered a conversation with other youth across the country around American values. See the American Creed category on Youth Voices which highlights some of this student work. A few specific student examples, that reflect careful critical thinking and furthered conversation through comments from other youth learners from coast to coast can be found at the following links. To explore my class and other classes involved in this work, click here. American Culture, Values, Creed: Reading and Writing Rhetorically for assignment details). These pieces were also published on Youth Voices. Following this work and their critical read of the documentary, American Creed, I invited students to develop their own final composition in response to the ideas presented in the film. My American Literature students accepted the invitations to reflect on ideas from the film and create projects in response to this work. Youth across the country also have this invitation of response through the Youth Publishing site, Writing Our Future. Through our work with thoughtful composing, I served as teacher and facilitator. Students created projects that offered a response to the film. This response could be in a variety of genres for composition. Students embraced topics such as immigration stories, family stories, poverty in the United States, education in the United States, views from particular groups in the United States and more. Throughout this process students explored genres, such as interviews, letters, essays, photo essays, slideshows, digital stories, documentaries, video reflections, scrapbooks and more. The work that students produced is powerful in offering original insights in response to the text. The freedom to create their own response offered students an opportunity to embrace civic conversation around sharing stories and researching topics they care about. “This project pushes the line.” “What do you mean?” I asked my student. As this student shared his reflection on this specific work, I knew that the invitation to respond through your own constructed composition was a powerful one. Students need guidance and careful scaffolding in this work, but the work starts with an invitation to recognize they can compose more than one specific prompt, rather, they can tackle big issues and embrace civic discourse offered in an invitation. We invite you to join the conversation as well. Check out the film, resources from classrooms, writing prompts and models, and youth publishing site and accept our invitation to respond in a way that best serves your classroom learning. Prev March Madness and the Money: Should College Athletes Get Paid? Next Is the Endangered Species Act at Risk of Extinction?